A divorce can put great financial strains on all parties involved. More frequently than not, divorcing couples struggle to stretch their income to support two separate households as it previously supported one. 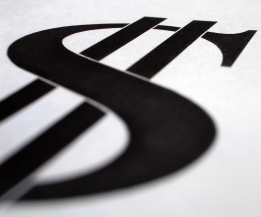 Attorney fees and other costs of litigation also increase the family expenses. In order to “make ends meet,” or even in an attempt to downsize expenses, spouses may want to sell various assets while a divorce is still pending. Although the sale of assets during divorce seems like a financially responsible decision, divorce attorneys will advise their clients that the parties are prohibited from “transferring, encumbering, hypothecating, concealing, or in any way disposing of any property, real or personal, whether community, quasi-community, or separate without the written consent of the other party or an order of the court, except in the usual course of business or for the necessities of life”. Despite the blanket prohibition on the sale of any property during divorce, a spouse may petition the court for permission to liquidate assets if one of the exceptions applies. As divorce attorneys know, family courts have the authority to order the liquidation of community assets under Family Code §2108 if such liquidation would avoid unreasonable market or investment risks. In deciding whether a risk is “unreasonable” the court will take into consideration the nature, scope, and extent of the entire community estate. 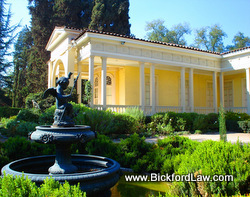 Often San Diego divorce attorneys use this provision to acquire a court order for the sale of the marital residence. The average middle class family owns no more than two pieces of real property. Thus, if their home has equity and is at risk of foreclosure, the court will likely order it sold as the risk of foreclosure is probably unreasonable. On the other hand, if the couple owns twenty investment properties, the court may be less inclined to order the sale of one over the objections of one of the parties. Family Code §1101 grants family courts authority to order the sale of assets if the sale is in the best interest of the community and consent has been arbitrarily refused or cannot be obtained due to some incapacity of the non-consenting spouse. Under this code provision, the “community” consists of the collective interests of the parties with respect to all the property they acquired during marriage. Unlike Family Code §2108, Family Code §1101 is rarely used or cited by divorce attorneys. An inquiry into what is “in the best interest of the community” and when consent is “arbitrarily refused” is very fact specific and varies widely from case to case. Divorce is a complicated matter. Don't settle for less when determining your rights. Contact Bickford Blado & Botros if you may be considering a divorce from your spouse, a legal separation, or have questions regarding family law in San Diego. Nancy J. Bickford is the only attorney in San Diego County representing clients in divorce who is a Certified Family Law Specialist (CFLS), and who is actively licensed as a Certified Public Accountant (CPA).